Tennis rackets are something that many beginners and even intermediate tennis players buy blindly. Yes, there are some well known brands, but do they make the best tennis rackets? The well known companies are smart - they understand that most of the time, a beginner will buy their product because of the brand name. A big mistake a lot of beginners make is buying a racket that they see professionals using, when in actuality your tennis game will suffer. If you're relatively new to tennis, the specifics aren't all that important. This racket fits perfectly into the guidelines that beginner/intermediate players should look for, as far as specifications. 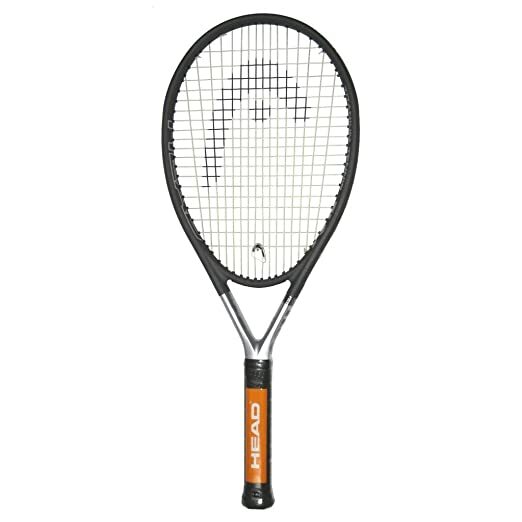 The head TiS6 is a highly viewed and highly rated racket by many tennis players. It's a durable, long lasting and obviously built with quality in mind. It's very light, strong and allows quality returns on strokes, serves, and overheads. The sweet spot is big, and often forgivable during volleys. It's an all-around great tennis racket that won't disappoint you. Judging by it's specifications and user reviews we would say this racket is perfect for anyone who is a beginner, however it will allow room for improvement. Honestly, it was a tough decision on rather to place this racket as #1 or #2. The Wilson [k] Team is an under-rated racket that many professionals recommend for beginners that plan to play competitively. Basically, if you're a beginner that is young and wants to learn this racket is perfect for you, a true beginners racket wont do you any good. The K-Zen might be a bit difficult at first, but in the long run it will help improve your strokes and techniques - something that a true beginners racket wont provide you with. The Prince O3 Hybrid Shark has the same frame geometry and cross section as the best selling Shark racquet with the Cushion Grip System for more comfort and less shock. O ports have been added to extend the rackets "sweet spot" and overall performance. In all categories it checks out good. It has power, but not too much - very balanced. The control is decent, but doesn't do too well on big swings (it will improve your game when you get your control down). Volley is wonderful with the Prince O3 Hybrid sporting it's perfect depth and decent speed. This is a great racket for a beginner, that plays tennis for fun. Head Ti.S6 is the perfect racket for a beginner, it's made almost exactly following the guidelines of how a beginner racket should be, and the price is very reasonable. Wilson K Zen Team is a great racket for beginners who are looking to advance to the intermediate competitive level, in the long run it will improve your strokes and overall game more than any other beginner racket. Prince o3 Shark is a simple, well built and balanced racket. It's great for a beginner or intermediate player who plays a leisure sport or hobby.